Eyebrow shaping is a fine art that may involve well trained skills. Once you understand what's the perfect eyebrow shape for you, you may either pluck them on your own, or go to a professional beauty salon. But the road to perfection is usually rocky and filled with eyebrow mistakes. 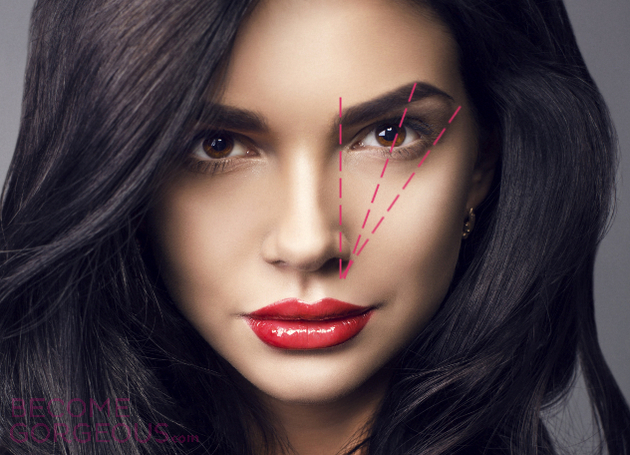 Here are some of the most common mistakes that lead to ugly eyebrows! One of the most common mistakes that leads to an ugly eyebrow shape is over plucking. This usually happens when you are either not familiar with the most suitable eyebrow shape for your face, or you don't master the tweezing technique. Either way, the result is bad eyebrows that will need immediate intervention! Once you've over plucked your eyebrows, you'll need to make sure your hairs grow back as soon as possible. There are several techniques you may use in order to reach your goal and get rid of ugly eyebrows. Try exfoliating the skin with a soft toothbrush, and applying a brow serum. Until your eyebrows return to their original shape, you may opt for eye pencil or brow powder filling. But, in order to avoid making mistakes, ask for a professional's help. When you're dealing with an ugly eyebrow shape, you may be easily tempted to reach for the eye pencil or brow powder to correct the mistake. But, as previously stated, you may want to think again: wrong coloring is another common mistake that leads to ugly eyebrows. If you're desperate to fill your sparse eyebrows, apply a small amount of brow powder, and avoid, at all costs, the eye pencil. Leave the use of the latter to a future, more experienced you, or to a professional! You may get ugly eyebrows from bleaching, as well! Especially when deciding to dye your hair in a lighter shade, you may want to make sure the color of your eyebrows matches the one of your locks. But the bleaching process can go terribly wrong and lead to bad eyebrows, mainly because the resulting hue may not be exactly what you expected! Therefore, when dyeing your hair blonde or any another lighter shade, just leave your eyebrows as such: you may actually find out that the combo compliments you very well. Don't ever go for eyebrow tattooing, as the results may be far from ideal. In order to avoid ugly tattooed eyebrows, choose eyebrow coloring instead, for a better look.